The best natural way to correct your vision. After using it every day for six months (minimum 30 minutes) while watching TV or reading, many people took off their glasses for good. It is designed in very specific way; brain has to place the picture precisely on the retina, otherwise there is no picture at all. The picture cannot be place in front or behind the retina. Eyes are being forced to focus correctly. 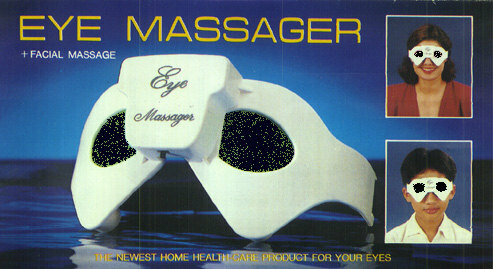 It is very helpful with lazy eye as well. Activate Facial Massager for 3-5 minutes every day - you will feel relaxed and revitalized and your wrinkles will start disappearing.